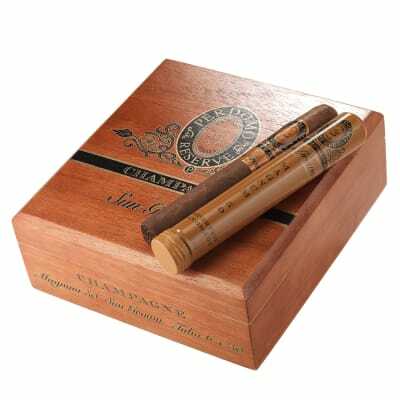 Perdomo Champagne Sun Grown Magnum 50 Tubo cigars feature a refined, multidimensional blend of medium bodied, double-aged Cuban-seed tobaccos grown in the dark, fertile soil of Nicaragua's Esteli, Condega and Jalapa Valleys. This particular edition is available as a limited, seasonal release with a Nicaraguan Cuban-seed Sun Grown wrapper that has been aged over six years, resulting in a smooth, creamy, medium-bodied cigar smoking experience. 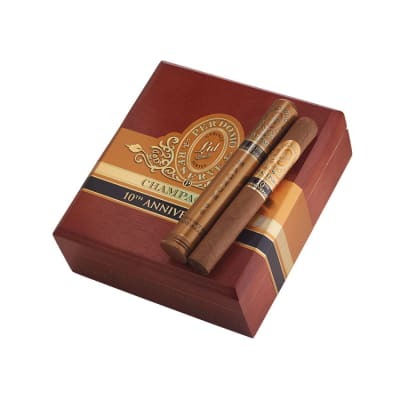 A stunning and affordable cigar that can be enjoyed by cigar smokers of every experience. Perdomo Champagne Sun Grown Magnum 5 Pack cigars feature a refined, multidimensional blend of medium bodied, double-aged Cuban-seed tobaccos grown in the dark, fertile soil of Nicaragua's Esteli, Condega and Jalapa Valleys. This particular edition is available as a limited, seasonal release with a Nicaraguan Cuban-seed Sun Grown wrapper that has been aged over six years, resulting in a smooth, creamy, medium-bodied cigar smoking experience. 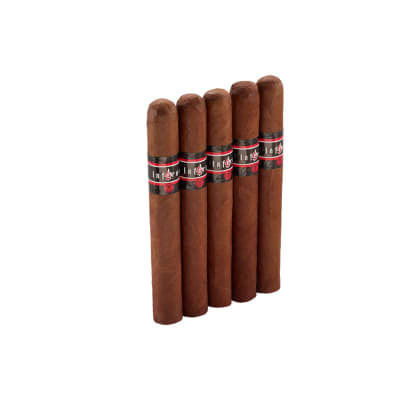 A stunning and affordable cigar that can be enjoyed by cigar smokers of every experience. So glad I tried this cigar! Surprisingly smooth flavor. IMO, more of a medium leaning to full flavor. That being said, this smooth flavor is consistent through out the smoke. My favorite of the Perdomo line so far.